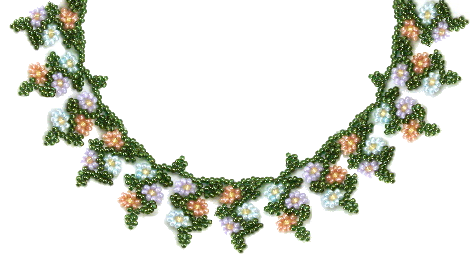 Pastel blooms in lush beaded greenery. Seed bead magic for the neck. Necklace repeat = approximately 3/4"